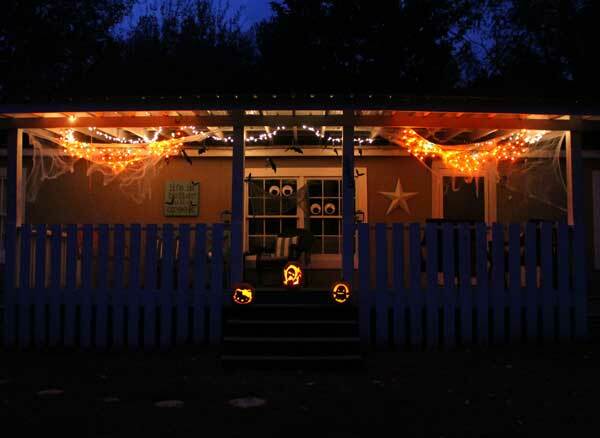 Halloween porch decorating ideas are some of my favorite kind – they show your neighbors (and everyone that passes by) that you have a little fun with the spookiest holiday of them all. 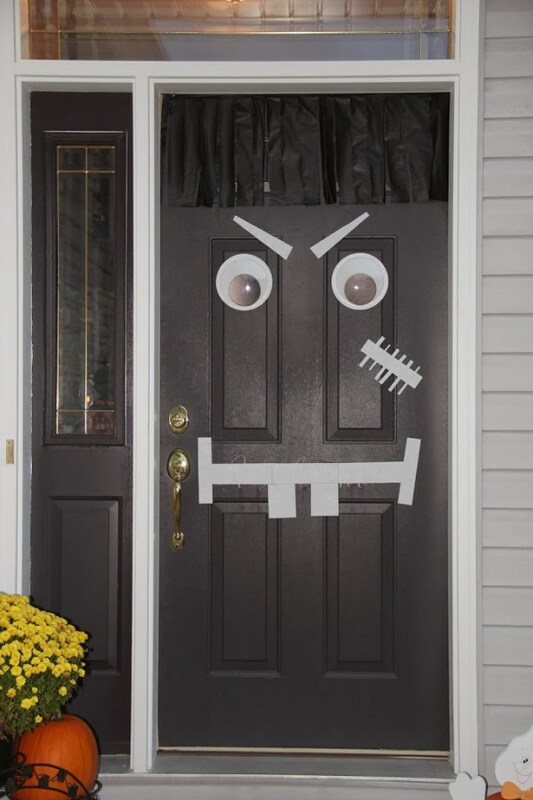 So I’m sharing some of the best (and easiest) Halloween porch decorating ideas around from friendly to frightening so you can get your spook on. Let’s start with my own porch! My girls love Halloween and decorating for it is always so much fun! Honestly I let the kids do most of the decorating. I let them carve the pumpkins and choose the goods to put up. My only request was hanging bats from the rafters, which we hung with clear hooks & fishing line. You can’t see the hooks or the string, so it actually looks like they are flying around. Some spiderwebs made it look even spookier. 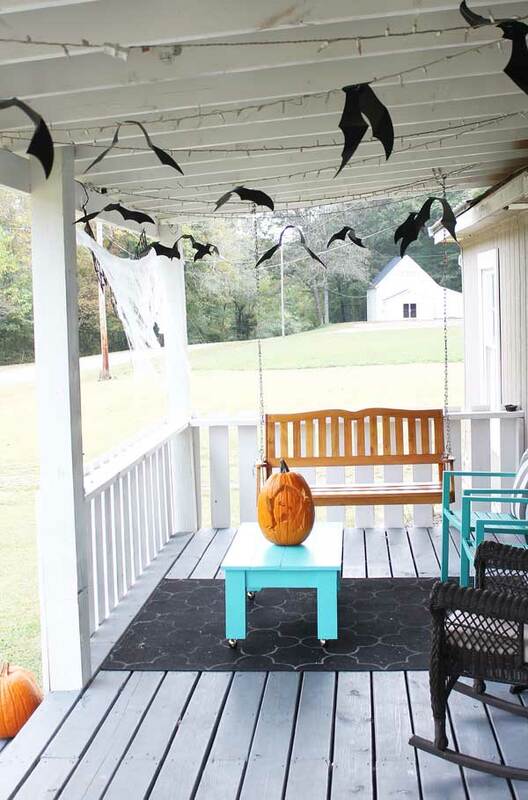 Another cute porch with bats – but she also added in an adorable pillow and a pumpkin. She didn’t go overboard, just simple & beautiful! 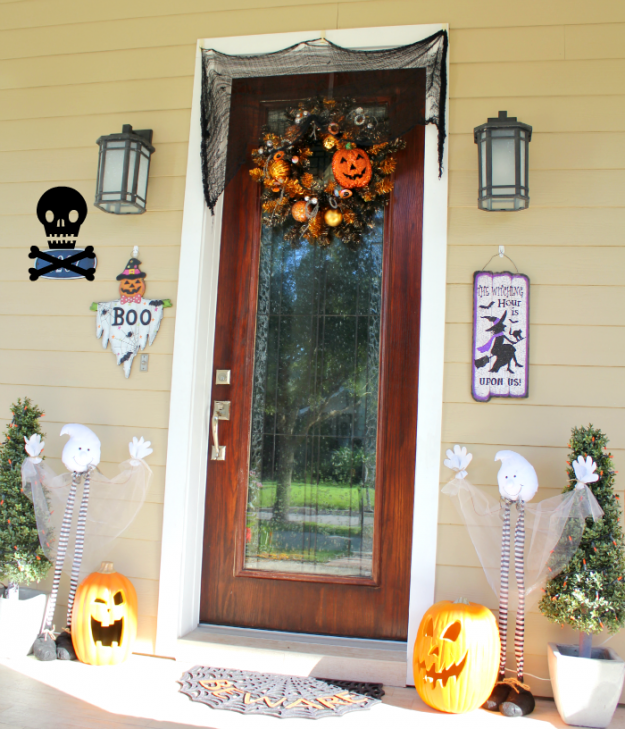 These easy DIY Halloween signs From Bless’er House are the perfect way to add some fun to your porch for under $10. 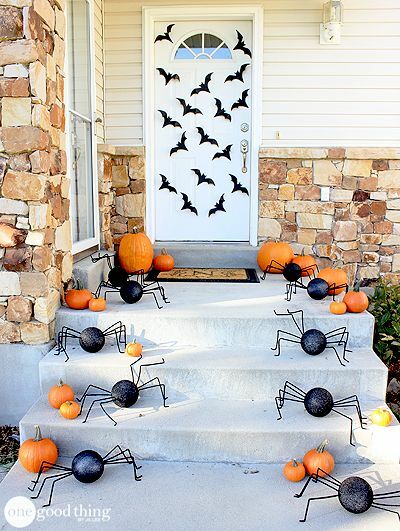 This idea is so easy – a few pumpkins, a few craft store spiders, a few stick on bats & you’re done. 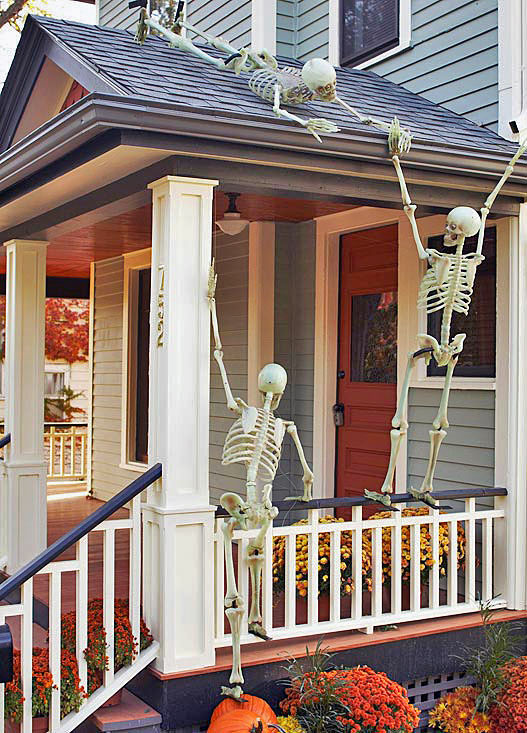 Another one of those great Halloween porch decorating ideas! 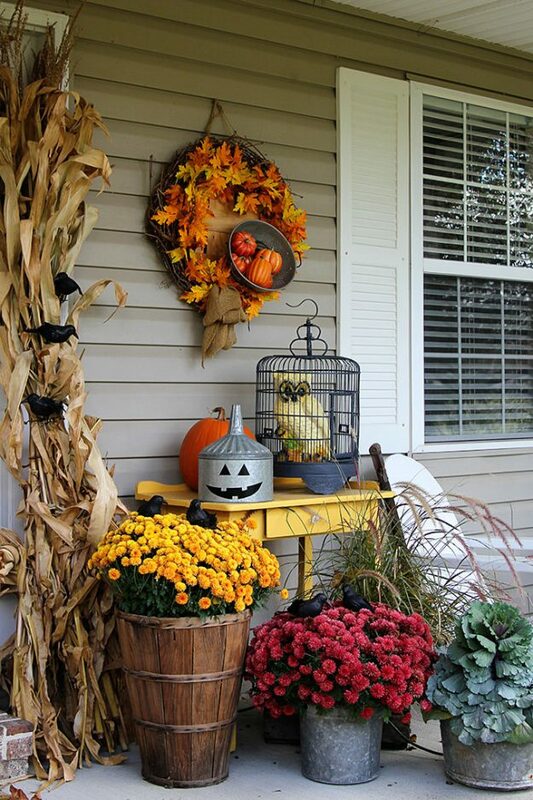 You don’t have to be frightening to be festive – this porch is full of fall flowers and a few pumpkins, too! 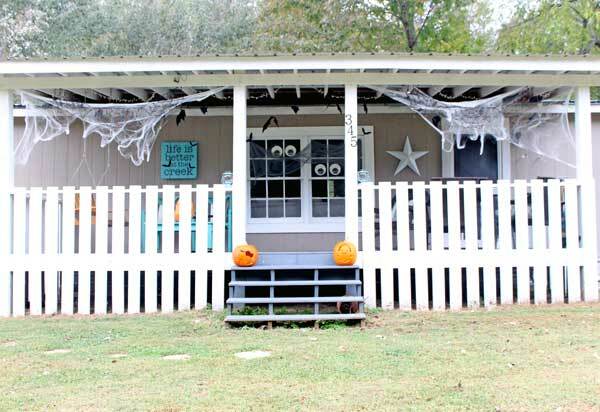 This porch looks so fun – you know all the kids are going to love trick or treating at this cute porch! Don’t even have a porch? 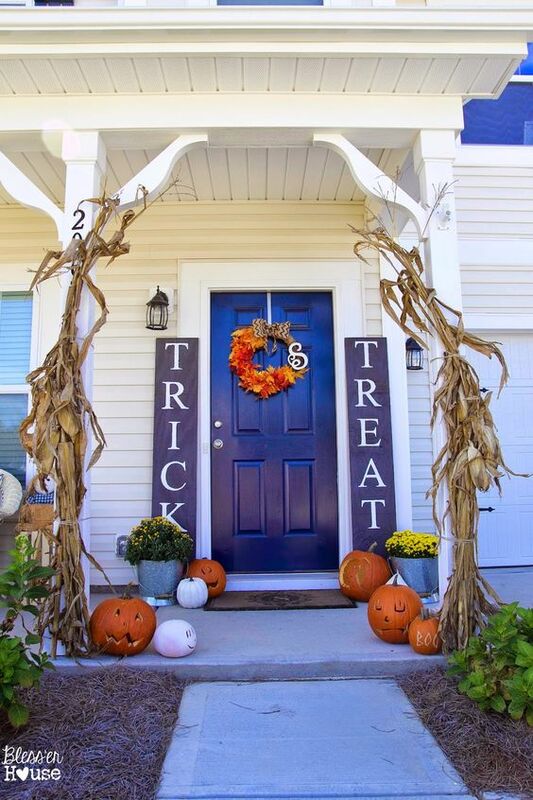 That doesn’t mean you can’t find some Halloween porch decorating ideas, just make a wreath for your door instead of a full out display! 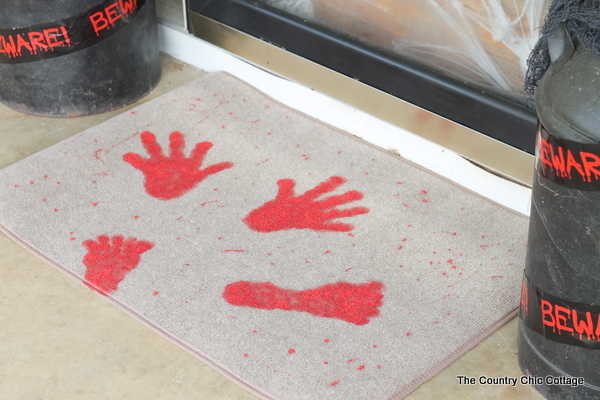 And if you have room for a rug – this fun outdoor rug idea is so simple, but definitely ups the fright factor! 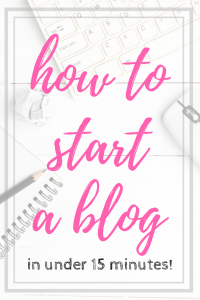 And if you feel like you don’t have time – you could do this idea in just a few minutes! Those command strips are magic! Since my husband and I moved around so much before settling into our current home, we always used the strips that were like velcro to hang up any pictures. They work amazing, too! Looks good! How did you do your pumpkins? 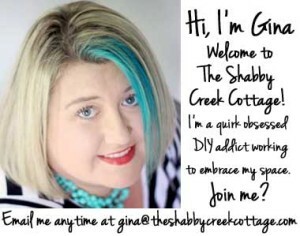 Did you use a kit, or carve those things freehand? We don’t have a porch, really, but we do have a stoop. 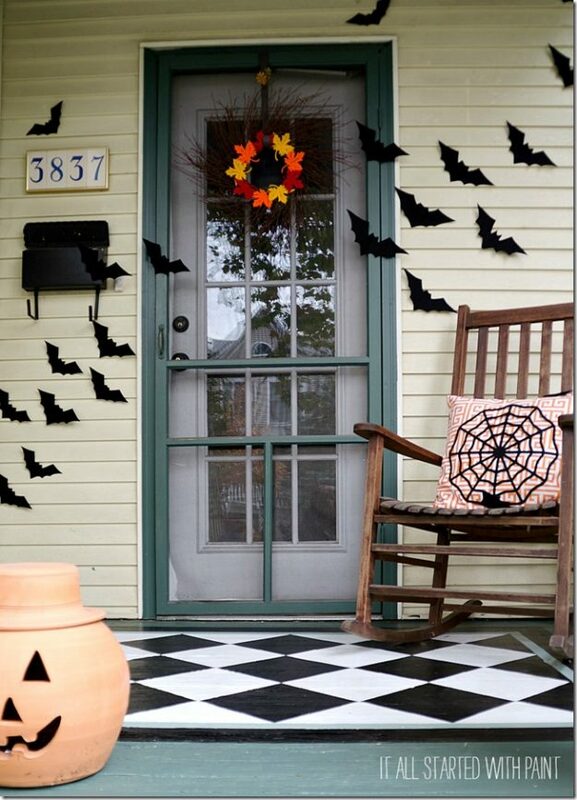 🙂 We just moved here last year and I haven’t gotten in to decorating that stoop, but maybe I’ll use some Command hooks and try with some fake cobwebs and bats. I like it! It looks great! I love the eyes! I am proud to say I live near 3M, home of all things Post-It and Command! This stuff changed my life. And I LOVE your porch. Everything looks so nice! 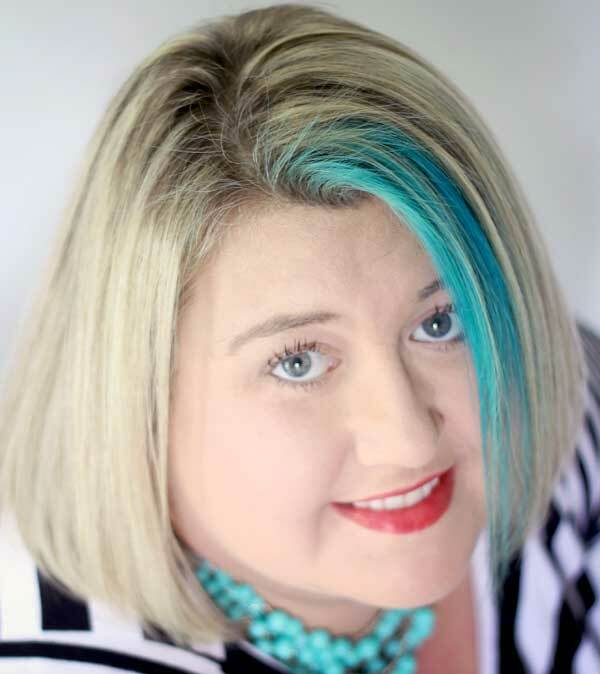 Love the after dark pic … spooky glow! 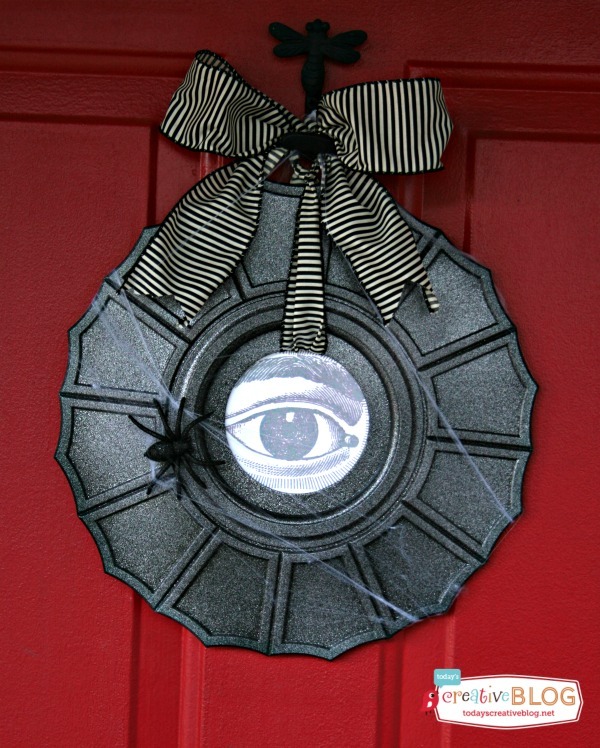 And the eyes in the window are adorable! Very cool, especially the lights! How did you make the eyes and how did you hang them? Are they on the inside of the window or the outside of the window? Looks so cute! I found them at Target in the dollar spot. They have an adhesive backing and are hung on the outside of the window. How do you keep gauze on window for mummy eyes, mine keep coming undone with the wind blowing? I’ve not had that problem Carolyn, if you have a lot of wind it would be very tricky! Did you use command hooks?